Cherylis the definitive biography of the nation's favourite star. From her Newcastle childhood to her stellar success with Girls Aloud, as a number one solo artist and on TV with The X Factor, Sean Smith tells the true, roller-coaster story of how a cheeky and feisty girl from a grim, working class area became the iconic figure for modern women in Britain today. Cheryl's path to fame and fortune has often been difficult, facing the problems drugs and unemployment have brought to those she loves. Now, her turbulent marriage to footballer Ashley Cole is sadly under the spotlight, but, with insight and understanding, Sean Smith reveals the real woman behind the beautiful public face. 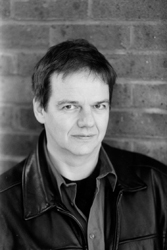 Sean Smith is the UK's leading celebrity biographer whose best-selling books have been translated throughout the world. Sean Smith is fast becoming one of the UK’s leading celebrity biographers. He has written several bestselling books, the latest of which is Robbie: The Biography, chronicling the life of England’s singing sensation Robbie Williams.